To detect subsurface objects such as utility lines and pipes it is necessary to first illuminate the object with the radar signal and then to observe the reflected echo. 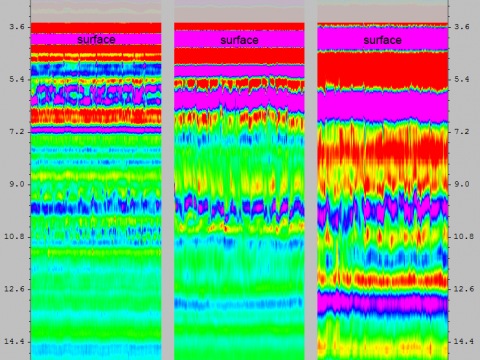 The detection of subsurface objects differ from measurement of layer thickness in that the distance to the object changes geometrically based on the location of the antenna from the object. In the radar waveform, this is uniquely identified as a movement or “shift” in the target echo time of occurrence and is distinguished in the radar pro-file record by a distinct “hyperbolic” reflectivity pattern. To ensure optimal detection of cylindrical objects such as pipes, a series of inspection passes both parallel and perpendicular are recommended for this reason. 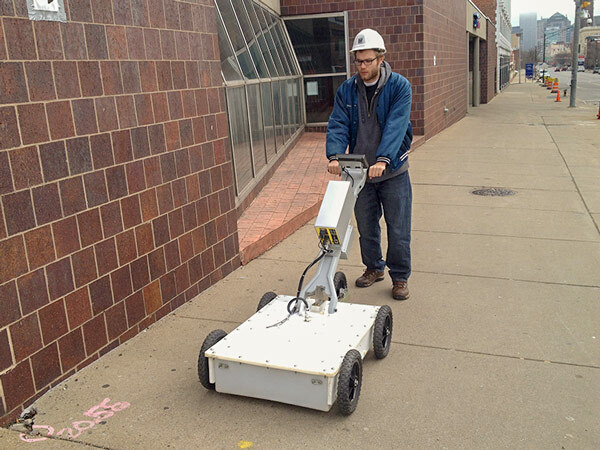 Penetradar employs the IRIS-MP-301B GPR System (seen below) for most utility and pipe locating applications due to its mobility and self-contained low frequency antenna with the ability to penetrate and detect objects to depths greater than nine feet. 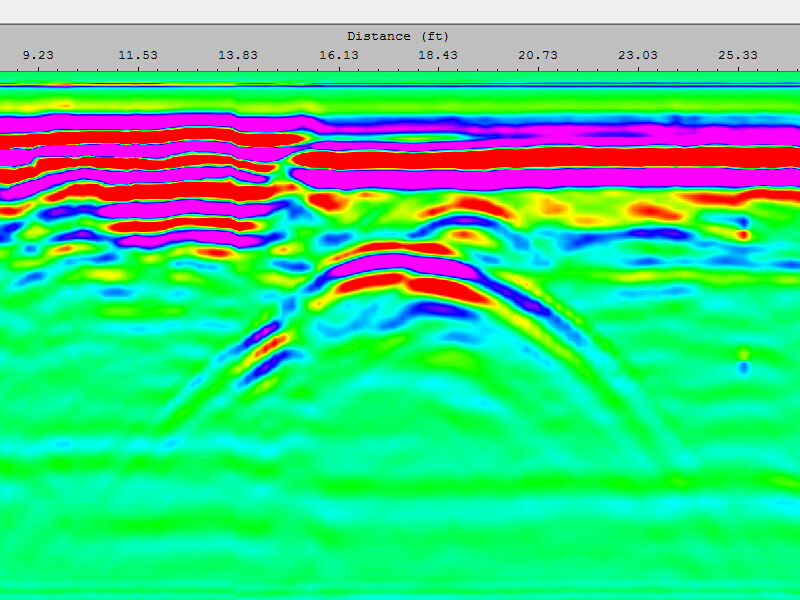 A typical radar characteristic of a subsurface object detection viewed in Penetradar's ColorPro software. The distinct hyperbolic reflectivity pattern can be seen below. 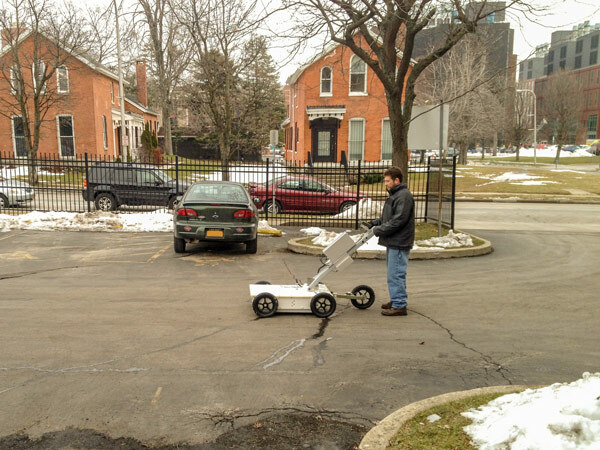 After analysis, detected areas of utility lines and pipes can be delivered in a multitude of ways. Below are examples that show the detection locations either overlaid onto a satellite view from Google Earth or a diagram of the area can be created with the locations of the detections marked out. 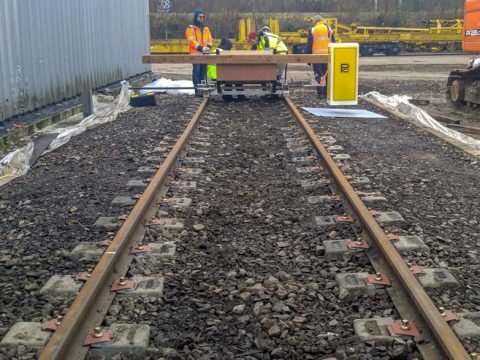 In addition, marked out locations can be done on site. 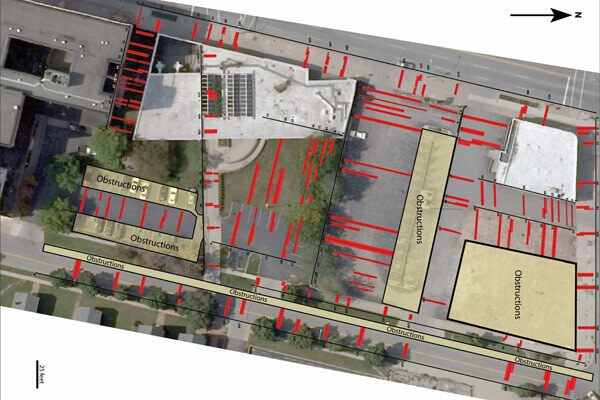 Example Output Map showing areas of interest in relation to subsurface objects such as utilities and pipes at an excavation site on the side of a building. 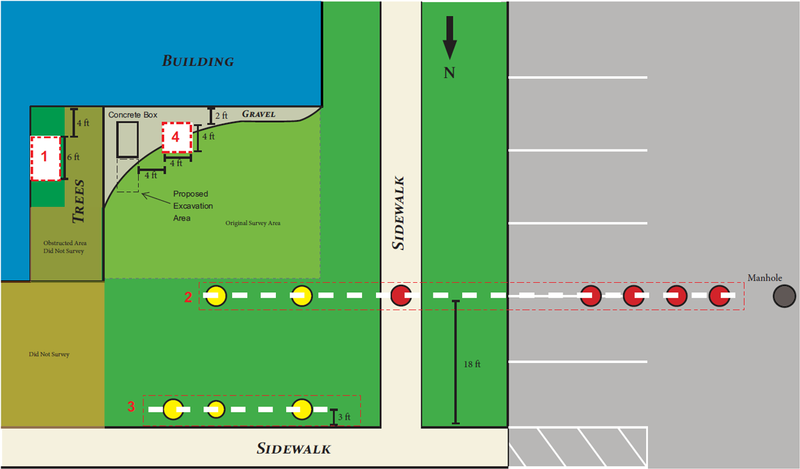 Example Output Map showing locations of where utilities were entering the buildings in the grassy areas and sidewalks. 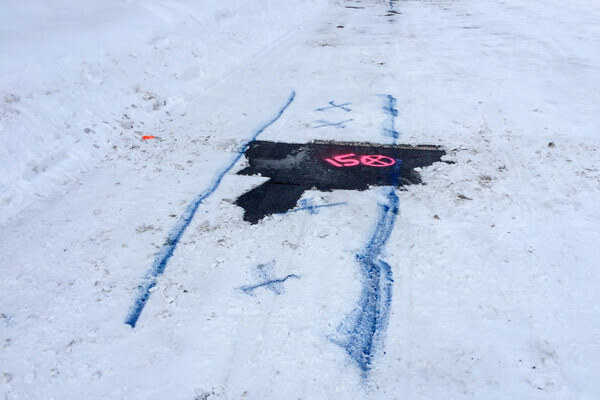 Locations of underground utilities and pipes can be marked out on site to show exact locations.